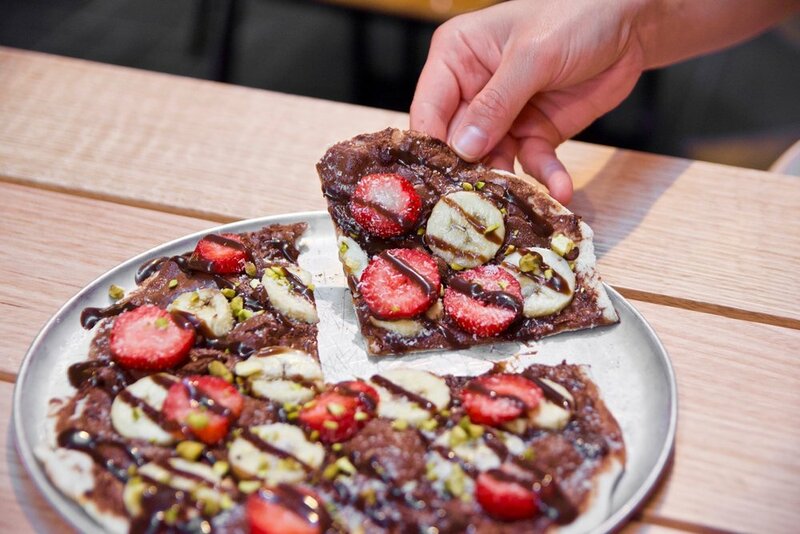 Located in Melbourne’s CBD, Hungry Bear Pizza Bar is a flavour-laden and guilt-free experience. 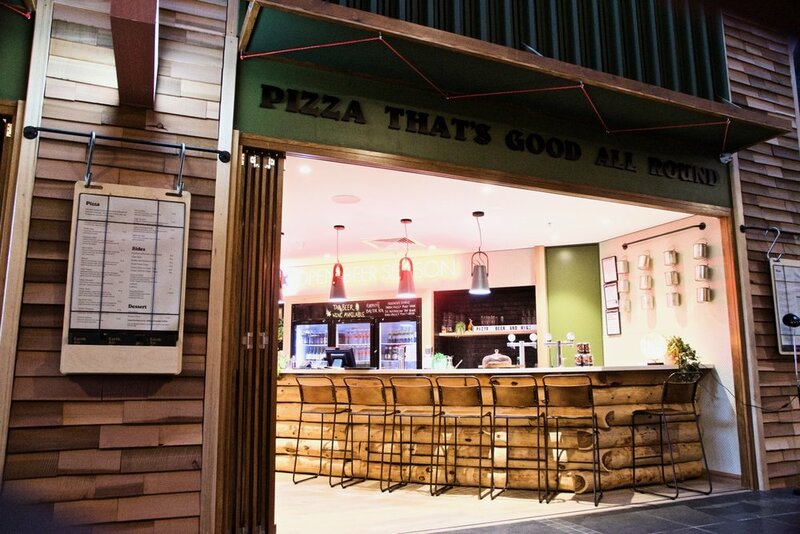 The menu consists of 15 pizzas which are made with fresh and seasonal ingredients in front of diners. Pizza names are perfectly tongue-in-cheek like the ‘Bear Necessity’, the ‘Paul Hogan’, ‘Holy Cheeses’ and 'Jon Bon Chovi’. The toppings are seriously good and made from top ingredients. Our absolute favourite pizza was the Holy Cheeses. Think a thick oozy layer comprised of nine different cheeses, roast cauliflower, pickled red onion, parmesan, walnuts and fresh parsley to finish. This is certainly a work of art. A close second is the Paul Hogan – Picture perfect, this pizza is nutrient dense and boasts perfectly balanced flavours and great texture. 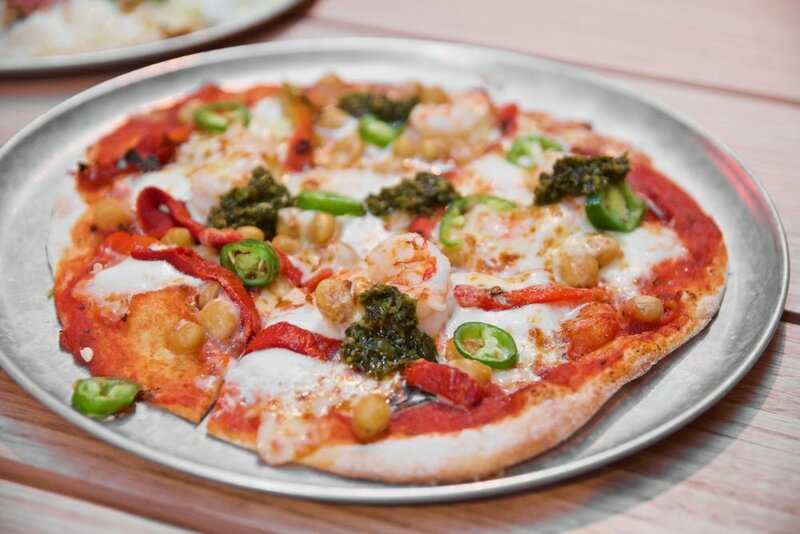 Plump marinated Australian prawns, chickpeas, roast red peppers, fresh green chilli, salsa verde, buffalo mozzarella, grated mozzarella and a lemon wedge sit a top an umami-laden tomato base. Just yum! These pizzas are perfect for sharing (we think 3 between 2 is perfect if you’re hungry!). 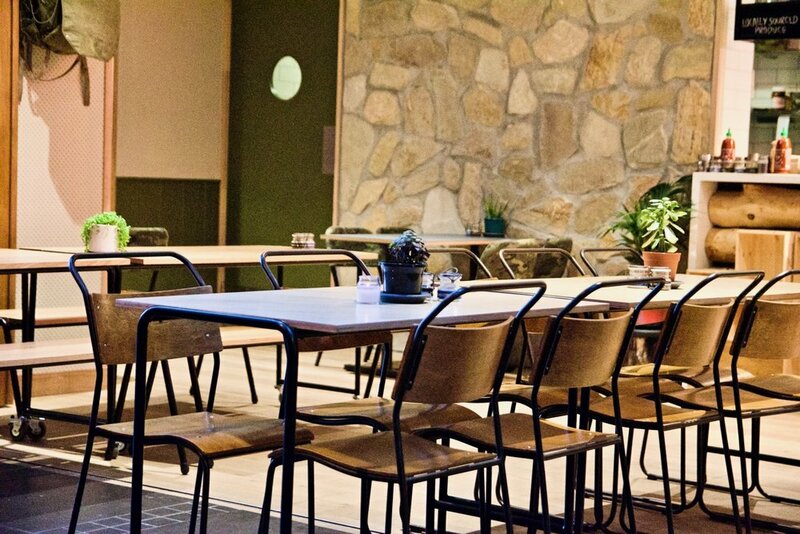 Hungry Bear is open 7 days a week from 11am until 9pm and is in Menzies Alley at Melbourne Central (enter via Little Lonsdale Street).